Worried about Monolithic Local Media? The UCC's media justice ministry is with you -- support us! Right now we're: in court in 2 places to stop FCC rules enabling Sinclair's consolidation, working with civil rights allies at the FCC to increase media diversity, and writing informative blog posts to keep you up to speed. Read all about it and help keep us going! By now you've surely heard about or seen the chilling video of local TV anchors at Sinclair Broadcasting stations around the country mouthing identical words that echo President Trump's attacks on the media. This video, while shocking, is only the tip of the iceberg. You may have just heard about Sinclair's most recent efforts, but at the UCC's media justice ministry, we've been tracking--and fighting against--policies which undermine media diversity and local journalism for years. Sinclair is well known for its ultra conservative news coverage, softball questions for the Trump administration, requiring all of its local affiliates to run opinion pieces from former Trump White House official Boris Epshteyn, and racist assumptions about American Muslims and terrorism (highlighted by HBO’s John Oliver). And much of Sinclair Broadcasting's efforts would not be permitted if the Federal Communications Commission sustained, and enforced, its media ownership rules. Right now the FCC is reviewing Sinclair's proposed acquisition of Tribune Broadcasting, thus increasing this company's reach to 72 percent of the nation's audience -- far bigger than any other local TV broadcaster. The United Church of Christ's media justice ministry has been working on media diversity, speaking truth to power, since 1959, when inspired by Rev. Dr. Martin Luther King, Jr., the Rev. Everett C. Parker led the way in holding local television broadcasters to account for failing to serve their African-American viewers. 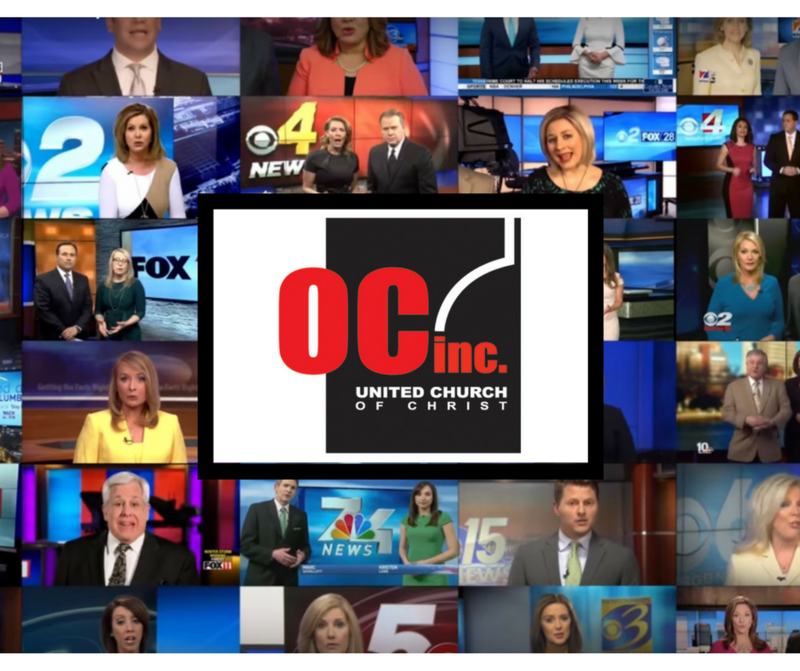 This ministry, called OC Inc., has been working to support media diversity and locally accountable broadcast journalism for decades. Writing blogs and doing interviews to educate the UCC community, civil rights community, and policy-makers about the broad impact of media consolidation on low-income and historically marginalized communities, especially when combined with new rules to block low-income people's access to broadband Internet and end Net Neutrality. Please sign up for our newsletters so we can keep you informed, and make a donation support our work! With donations like yours, we'll be continuing this ministry to make sure media serves all people. i have to ask a question about media center can i? I heard about this problem in many articles. I think there is a bit delay in solving this issue as it is really a big issue. Recently I have read an article in help with dissertation writing services, they have given all the details regarding all the possible cases regarding this issue. Is your work still pending? Do not worry as UK Essay Writers in UK will assist you with your work. We ensure that every assigned task to us is delivered within the given time, while being 100% original. Trust our services as we have professional writers who are helping the students who are in search for someone to assignment writing, from 10 years. There is so much in this article free gift codes generator that I would never have thought of on my own. Your free gift cards generator content gives readers things to think about in an interesting way.Very nice post free gift cards generator you share here. Post is really good to find here. Share 99 web hosting such a amazing deal for small business website.